Mr. Ted F. Merrill was born in Dayton, Ohio, where he began his career in the construction business, moving to California at the age of 17, where he has been in the construction business for himself for the past forty-five years. Mr. Merrill has been married for over thirty years and has five children: three boys and two girls; the boys are active in the business. His oldest son, Warren T. Merrill, is in the construction business for himself in Long Beach, California. 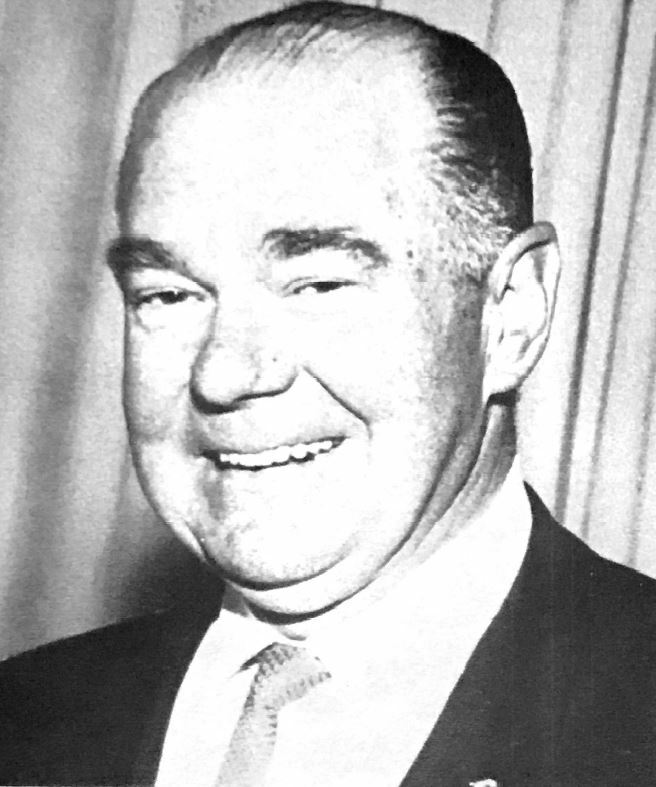 Ted S. Merrill is general manager of Ted F. Merrill & Sons, 1165 Morena Boulevard, San Diego, California. Daniel H. Merrill, youngest of the Merrill boys, is working in the home office in Inglewood, California. Ted F. Merrill & Sons employs over fifty regular employees, runs a fleet of trucks, and has all the necessary equipment, radio-equipped, to handle any emergency construction situation. They have pledged all the equipment and man power, etc. to the Civil Defense, Centinela Valley, in case of any disaster. Ted F. Merrill & Sons specializes in all types of insurance claims in the eleven western states, and is very proud of the reputation attained in this field, as we’ll as the many new building projects they have completed. This organization has been a member of the Associated General Contractors for many years. Ted F. Merrill served as a member of the County Grand Jury in 1944. He has been a member of the Inglewood Unified School District Board of Education for the past 18 years, serving as president for two terms. He’s a life member of Al Malaikah Temple and the Shriner’s Crippled Children’s Hospital, also the P.T.A. He is a long-time member of Elks Lodge No. 1492. Ted F. Merrill has written and published a “Reference Book for Insurance Adjusters,” originally published in 1940, revised in 1964 and 1968, and the latest revision will be ready for publication the first part of 1971.